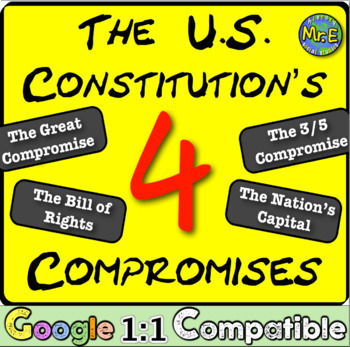 The U.S. Constitution's Four Compromises: The deals that created the country! The U.S. Constitution's Four Compromises: The deals that created the country! Google 1:1 Compatible! 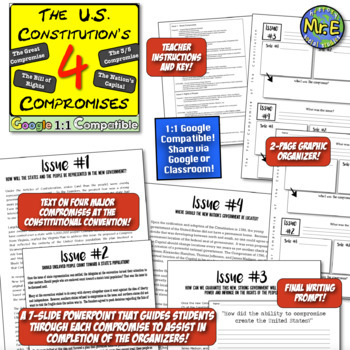 The United States Constitution 15-Lesson Unit! Buy the bundle and save over 30%! 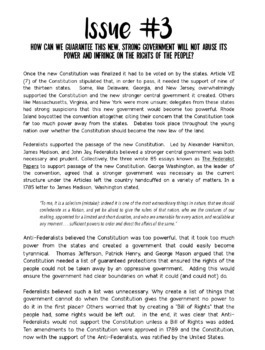 In this highly engaging Constitution and Compromise lesson, students examine the four compromises that created the U.S. Constitution and the United States of America. 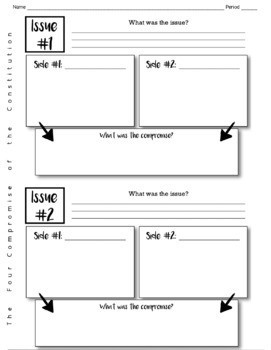 Students complete a graphic organizer after learning about each of the compromises - everything you need in included! A final prompt is also included to gear a conversation about the necessity of compromise in government. This product is 1:1 Google compatible -- just share through Google or assign via Google Classroom! Enjoy!